Maruya Hatcho Miso Co., Ltd.
> Maruya Hatcho Miso Co., Ltd. 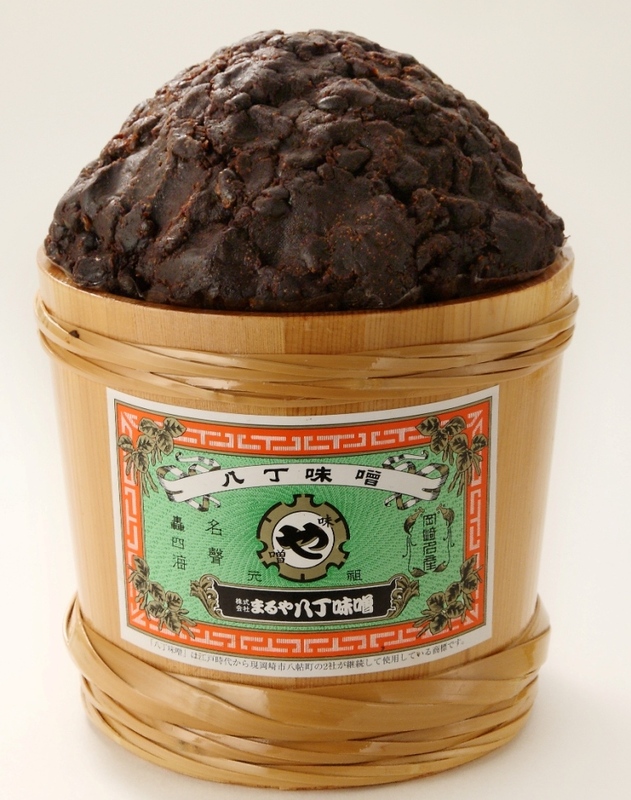 Since its establishment in 1337, while Maruya Hatcho Miso maintaining its traditional production methods of hatcho miso bean paste and handing down the traditional taste and methods to modern society, Maruya Hatcho Miso has been focusing on the export of hatcho miso. Maruya has also acquired ISO9001 certification and has introduced the latest management style. Maruya Hatcho Miso was established in 1337 in Hachijo-machi (formerly known as Hatcho Village), a hatcho (“8 cho,” ancient unit of length, converted into approximately 870 m). This area was an important spot for land and water traffic when the old Tokaido Road existed and boat transportation along the Yahagi River was common. In the Edo era, there were Doba (boat slips) and Shioza (exclusive salt merchants), enabling the company to obtain soybeans and salt to make hatcho miso and to transport it by boat. 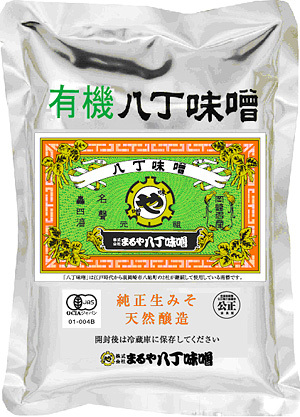 Hatcho miso was appreciated among samurai warriors in the Mikawa region and was favored by the clan. 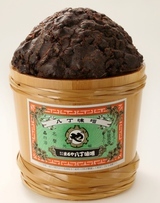 With the development of the Tokaido Road, hatcho miso became well known. 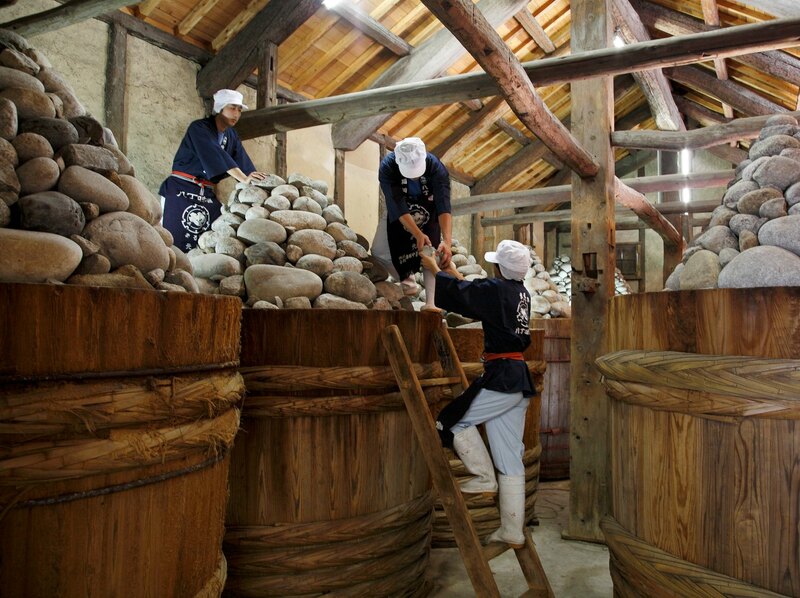 The traditional production method of hatcho miso is to place the koji in a wooden barrel, to pile up stones in a pyramid shape by hand to press the koji and to naturally ferment the ingredients for two summers and two winters. 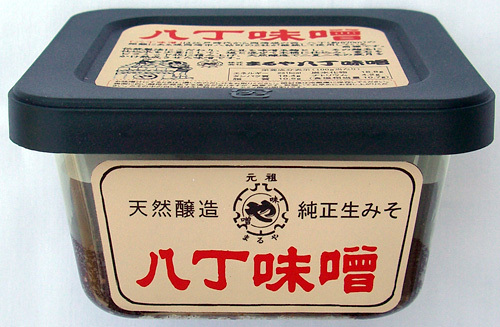 Maruya Hatcho Miso stubbornly maintains this production method and will continue to produce hatcho miso in this way. OHTA OIL MILL CO., LTD.